Vaig instal·lar deu o dotze pels 70's, però no m'en recordo gaire, tan sols d'un, a l'empresa YAMOSA (Yates y Motores, S.A. al port de Barcelona, que ja no trobo activa per Internet) pel tema de recanvis i reparacions a vaixells petits, recordo el el sistema de emmagatzemament extern era una cinta de cassette, molt habitual, llavors, als ordinadors més petits. Un model molt més sofisticat, d'ús científic, amb tres unitats de diskettes de 8"
Born before the era of the microprocessor, the Wang 2200 CPU was built using a couple hundred TTL chips spread over half a dozen boards, and housed in a heavy steel "suitcase." 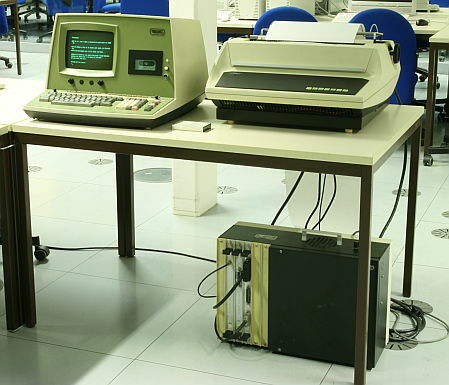 Its BASIC interpreter was written in microcode; there was no machine code that a user could access, unlike microcomputers that would come years later. The first 2200 shipped in May, 1973. What made it an interesting machine was that it was clearly what one would now call a personal computer. 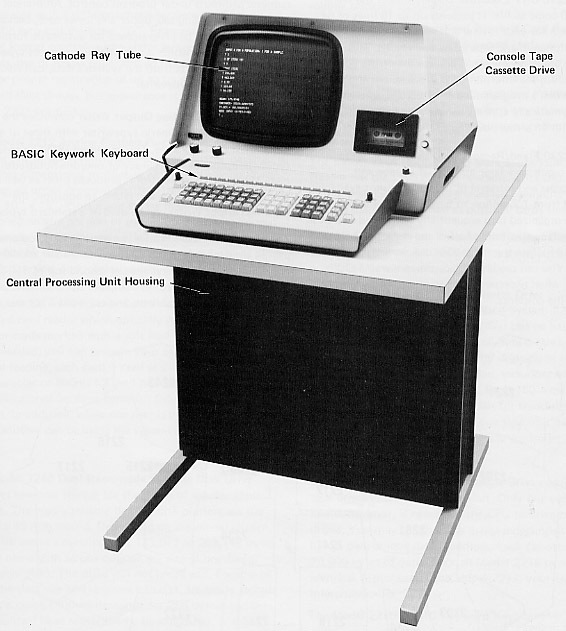 Up until that time, programmers dealt with the large and impersonal mainframe computers, or perhaps programmed on terminals connected to mini-computers via serial lines. At the low end, there were programmable calculators, but these were limited and difficult to program. The 2200, though, was something else. The machine had a capable BASIC interpreter in ROM, meaning it could be turned on and used within seconds. It was dedicated to the needs of a single person at any one time. The 64x16 CRT display made editing and running programs interactive and immediate, vs. the then-standard method of studying printouts on greenbar paper. 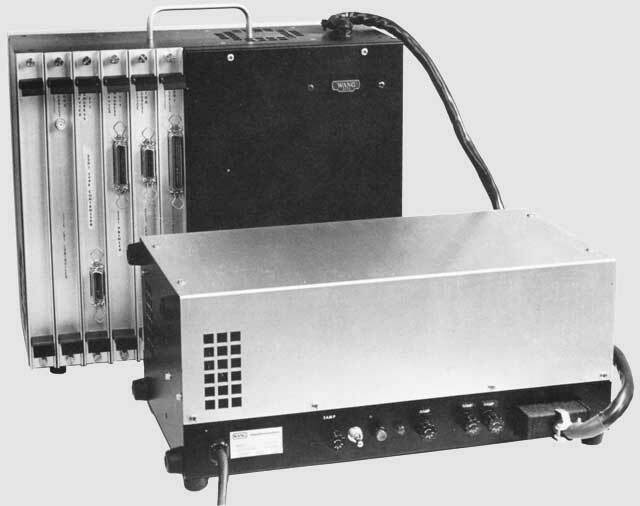 The 2200 was also expandable; eventually nearly 100 different peripherals were developed for the system. 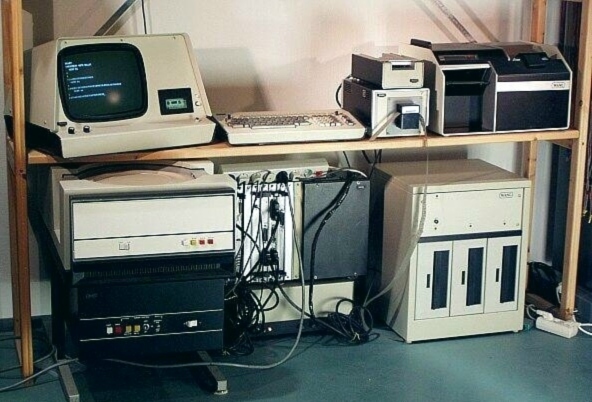 In some respects, it was similar to microcomputers that came four or five years later, such as the Commodore Pet or the TRS-80. Of course, the 2200 was much more rugged, reliable, and expandable than such machines. Over the years, the 2200 evolved to have an ever-more powerful BASIC dialect, to accommodate multiple users simultaneously. New models were produced for nearly 20 years before Wang ended development. Wang Laboratories was founded in 1951 by Dr. An Wang, an immigrant from China. Wang had gotten Masters and Ph.D. degrees at Harvard, where he also made some key inventions in the development of core memory technology. By the mid 1960's, Wang Labs had already made a name for itself in building a series of increasingly sophisticated electronic calculators, such as LOCI, the Wang 300 family, the Wang 700 family, and many derivative products. Seeing the writing on the wall that calculators were getting cheaper and developments in LSI technology would soon make them a commodity item, Wang decided to develop a general purpose computer. After a couple failures, finally Wang found success with the Wang 2200 computer. Within three years, Wang had sold more than 10,000 of the machines. Although Wang came out with the IBM 360-like Wang VS family, the 2200 served the low end well for years more. Ultimately there were three generations of 2200 CPUs, two major versions of Wang BASIC, many supported peripheral devices, and countless system combinations supported. During the 1980's, the 2200 family was squeezed from above and below. Below, the IBM PC was taking away entry level users. The 2200 family couldn't move up, as that poached on Wang VS territory. A third generation BASIC and, for the first time, COBOL was developed for the 2200, but shortly before introduction to the market, these efforts were quashed by company management. Wang Labs started suffering, in part, due to poor leadership during the 80s. At the end of 1986, Dr. Wang retired and left his son, Fred, as President and CEO of Wang Labs. Things went badly, and by mid-1989, Dr. Wang fired his son. It was too late, though, as Wang Labs was already in a death spiral. A new president, Richard Miller, arrived and cleaned house, selling off many non-critical assets and shedding more than ten thousand employees. All this was necessary, but despite those painful measures, Wang entered bankruptcy in 1992. All sales and marketing of the 2200 family ended immediately, although support continued on. Wang attempted a new direction in selling imaging systems, which was partially successful. InterACTION 97, in Boston, was the last Wang conference ever held, and at that time, there were more than two hundred Wang 2200 systems still under maintenance. Finally, in 1999, Wang was acquired by Getronics. In 2006 there are still customers in the field using their 2200 systems for production work, although their numbers continue to dwindle.